This all wheel drive 2014 Buick Enclave Leather features a Mocha Bronze Metallic exterior and has only 60,212 miles. STOCK# V5883 PRICED BELOW MARKET RETAIL VALUE! Viles Automotive Knoxville has this used 2014 Buick Enclave Leather for sale today. Don't forget Viles Automotive Knoxville WILL BUY OR TRADE FOR YOUR USED CAR, USED TRUCK and/or USED SUV! Our Dealership in Knoxville, TN: Call Viles Automotive Knoxville today TO SCHEDULE YOUR TEST DRIVE of this 2014 Buick Enclave Leather! Viles Automotive Knoxville serves Knoxville and Clinton, TN. You can also visit usto check it out in person! This all wheel drive 2015 Dodge Journey R/T features a Pitch Black Clear Coat exterior and has only 71,992 miles. STOCK# V5713 PRICED BELOW MARKET RETAIL VALUE! Viles Automotive Knoxville has this used 2015 Dodge Journey R/T for sale today. Don't forget Viles Automotive Knoxville WILL BUY OR TRADE FOR YOUR USED CAR, USED TRUCK and/or USED SUV! Our Dealership in Knoxville, TN: Call Viles Automotive Knoxville today TO SCHEDULE YOUR TEST DRIVE of this 2015 Dodge Journey R/T! Viles Automotive Knoxville serves Knoxville and Clinton, TN. You can also visit usto check it out in person! We're glad you found this used Dodge Journey for sale at our used car dealerships in Knoxville and Clinton, TN. Looking for financing? Our Viles Automotive Knoxville finance specialist will find the best rates available for this used Dodge Journey for sale. Viles Automotive Knoxville has used cars for sale in Knoxville & Clinton, TN. This all wheel drive 2015 Toyota RAV4 LE features a Black exterior and has only 74,365 miles. STOCK# V5848 PRICED BELOW MARKET RETAIL VALUE! Viles Automotive Knoxville has this used 2015 Toyota RAV4 LE for sale today. Don't forget Viles Automotive Knoxville WILL BUY OR TRADE FOR YOUR USED CAR, USED TRUCK and/or USED SUV! Our Dealership in Knoxville, TN: Call Viles Automotive Knoxville today TO SCHEDULE YOUR TEST DRIVE of this 2015 Toyota RAV4 LE! Viles Automotive Knoxville serves Knoxville and Clinton, TN. You can also visit usto check it out in person! We're glad you found this used Toyota RAV4 for sale at our used car dealerships in Knoxville and Clinton, TN. Looking for financing? Our Viles Automotive Knoxville finance specialist will find the best rates available for this used Toyota RAV4 for sale. Viles Automotive Knoxville has used cars for sale in Knoxville & Clinton, TN. This all wheel drive 2014 Chevrolet Equinox LTZ features a Silver Topaz Metallic exterior and has only 92,845 miles. STOCK# V5868 PRICED BELOW MARKET RETAIL VALUE! Viles Automotive Knoxville has this used 2014 Chevrolet Equinox LTZ for sale today. Don't forget Viles Automotive Knoxville WILL BUY OR TRADE FOR YOUR USED CAR, USED TRUCK and/or USED SUV! Our Dealership in Knoxville, TN: Call Viles Automotive Knoxville today TO SCHEDULE YOUR TEST DRIVE of this 2014 Chevrolet Equinox LTZ! Viles Automotive Knoxville serves Knoxville and Clinton, TN. You can also visit usto check it out in person! We're glad you found this used Chevrolet Equinox for sale at our used car dealerships in Knoxville and Clinton, TN. Looking for financing? Our Viles Automotive Knoxville finance specialist will find the best rates available for this used Chevrolet Equinox for sale. 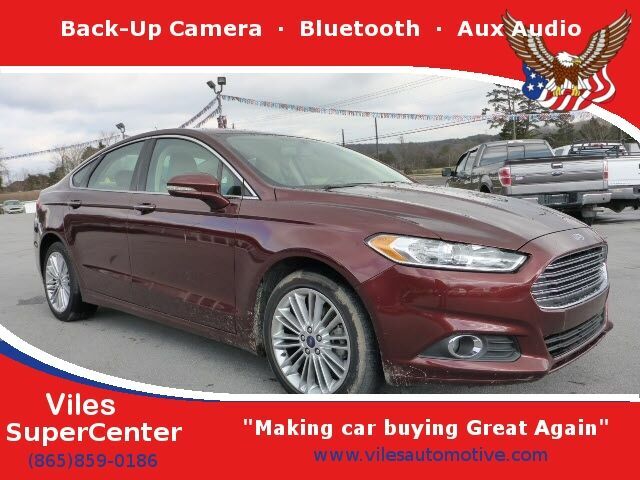 Viles Automotive Knoxville has used cars for sale in Knoxville & Clinton, TN.